When Fred Fahy introduced the racquet sport of pickleball to Coweta County just a little more than five months ago, he wasn’t really sure how it would go over. After all, very few had ever heard of the sport that was first played in the 1960s, let alone tried it. 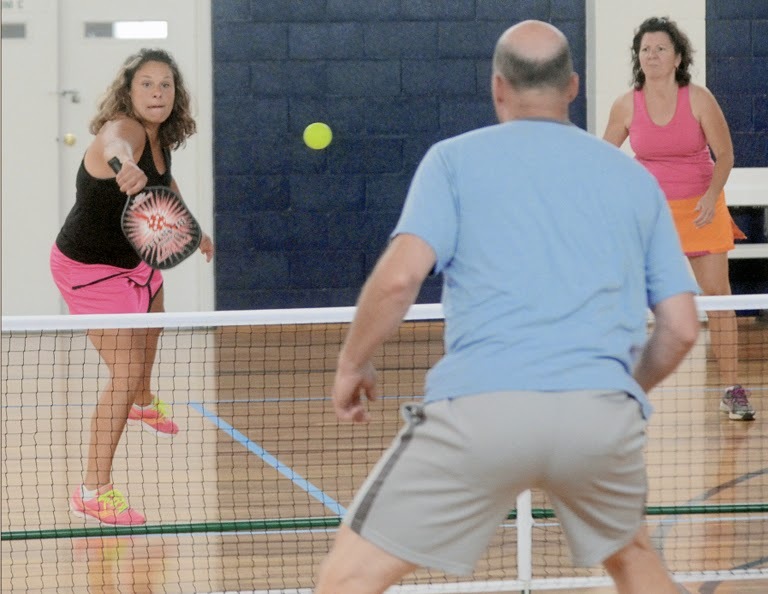 It didn’t take a very lengthy sales pitch, however, for Fahy, who first played the game in Florida, to win over a new collection of pickleball players. Now, it has become a weekly obsession for some, with as many as 15 players of all ages and abilities gathering each Tuesday from 10 a.m. to noon to play on one of the two courts laid out inside the Coweta County Recreation Department Gym on Hospital Drive.